We aren’t alone in our two minute rule. In fact, the American Dental Association also supports brushing for two minutes every day for good oral and overall health. There’s even plenty of research to back up the claim. According to one study in The Journal of Dental Hygiene, patients who brushed for only 30 seconds removed 55% less plaque than those who committed to the full two minutes. Just imagine what would be left lingering around if you skipped brushing altogether? What Happens if You Don’t Brush for Two Minutes? Besides plaque buildup, there are other things in your mouth that can stick around and cause problems if not removed regularly through a proper brushing. For instance, food particles that are left behind can feed bacteria found in the mouth. As this bacteria feeds on these tiny pieces of leftover food, they release acid. Acid will then begin to attack tooth enamel and leave teeth at an increased risk for decay. An overabundance of bacteria can also affect gum health. If not treated, it may cause gum disease. Why is Gum Disease a Concern? Gum disease is a serious infection caused by an excess of bacteria. Gum disease affects nearly half of all Americans and can eventually lead to tooth loss. But that’s not all. If gum disease isn’t treated by your dentist in Boerne, it can start to put other parts of the body in danger. Numerous studies have found a positive correlation between gum disease and heart disease. In fact, researchers estimate that those who have gum disease are twice as likely to also have heart disease. People who have diabetes and gum disease are in a unique and dangerous position. Advanced gum disease may cause blood sugar levels to increase, causing diabetic complications. Bronchitis and pneumonia are caused by bacteria that may come from the mouth. So if there’s enough bacteria hanging around to cause gum disease, it can also move throughout the body, into the lungs, and make you sick. Brushing twice a day for two minutes can help reduce the amount of bacteria in your mouth and minimize your risk for gum disease and the whole-body concerns that can go with it. In addition to those four minutes of brushing a day, make sure you also visit our Boerne dental office twice a year for an even more thorough cleaning that will not only protect your teeth, but also your overall health. 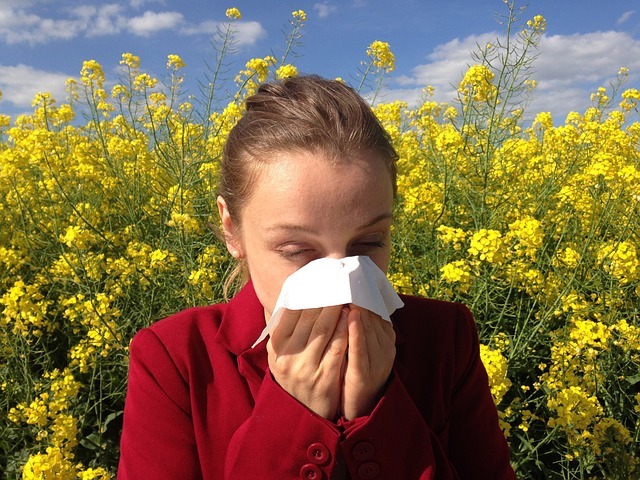 Could Allergies Affect Your Dental Health? We already know that it’s common for people with allergies to suffer from itchy, watery eyes and leaky, stuffy noses. These symptoms are a result of the body making too much mucus. And too much of this thick, slimy stuff can block up airways, making it difficult to breathe out of the nose. As a natural response, the body switches to breathing out of the mouth, also known appropriately as mouth breathing. That’s where the problems begin. Mouth breathing, at first, may not appear as such a big deal, but to your dentist in Boerne it’s a habit that can lead to several oral health problems. In fact, the Academy of General Dentistry reports that mouth breathing can lead to a gummy smile, problems with facial development in kids, and even complications to overall oral health. Breathing out of your mouth decreases saliva production and dries it out. Without saliva, dangerous acids and bacteria are left to create problems like tooth decay and chronic bad breath. Dry mouth is also one of the causes of gum disease, a dangerous oral health problem that can create health issues throughout your body including stroke, heart disease, and heart attacks. If you have allergies that affect your ability to breathe properly there are things you can do to help relieve the symptoms and protect your oral overall health. Start by speaking with your doctor and the team at our Boerne dental office. As part of your healthcare team, we will be happy to recommend some ways to get allergy relief so you can start breathing easier.